For the age-old catalogue, the increase in digital technology use has become a double-edged sword. In some ways, it poses a challenge: as consumers spend increasing amounts of time glued to various devices, many retailers have had to play catch up, adapting the catalogue to new environments and new devices. On the other hand, it’s an opportunity. Technology offers the potential to enhance and deepen the experience of the print catalogue. I will explore these trends and how they point to a need to rethink the idea of a catalogue from a new, digitally-centric approach. 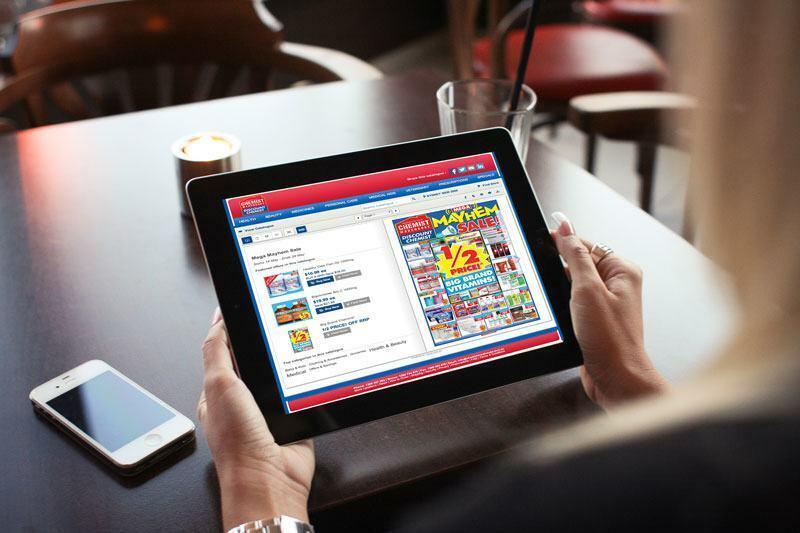 Translating the catalogue to digital form presents great opportunities for retailers. Adapting its print-format for online reduces production and distribution costs. It enables retailers to deep-link products to facilitate seamless transactions for the consumer. We can track catalogue interaction in real-time, providing valuable insights when making decisions such as strategies around paid media spend. But in reality, directly importing catalogue pages to digital platforms has thrust the catalogue into a sort of awkward teenage phase. Everything around it is constantly changing, but the catalogue has not. How can it keep up with the increasing number of screen sizes it must squeeze itself into? The digital industry has largely responded to device challenges with a shift towards “responsive web design”, a fluid grid layout which adjusts to fit individual screen sizes. Others turn to adaptive technology which first detects a device and delivers a customised experience for that device. There are some third parties that offer plug-and-play solutions that enable catalogues to confront these issues. US retailer, Nordstrom hosts a shoppable version of their print catalogue, on site, using the Syndeca platform. On desktop, the catalogue is relatively seamless, but on mobile, the limitations of adapting print directly to the small screen are immediately evident. The catalogue doesn’t spread the full width of the screen, products are tiny and text is difficult to read. Our own Australian brands like Chemist Warehouse and Officeworks leverage similar technology such as Lasoo with similar useable yet, imperfect results. The rise of mobile and tablet use has also spawned the growth of third party apps that aggregate catalogues from various brands into one convenient location. 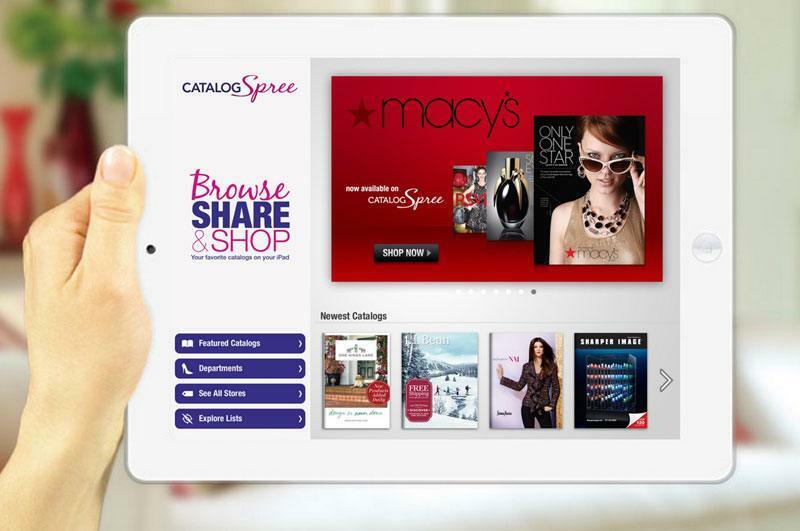 Catalog Spree is an app designed with an iPad-first approach, which links directly to products online. But these apps still present the same problems of directly adapting from print – while the app allows users to shop multiple catalogues in the one location, the experience is still bound by the traditional pages. Bigger brands like Net-A-Porter and Nordstrom are building their own custom platforms to catalogue content. The best Nordstrom catalogue experience is undoubtedly through its own shoppable app for iPad, which displays the catalogue and related products all within the app for purchase through an in-app browser. Unfortunately, the majority of brands don’t have these financial luxuries. All said, the catalogue is by no means done for. It’s still a valuable pillar of marketing, affording a sense of luxury and touch that we don’t get through a screen. Customers feel valued to receive a catalogue; when they sit down to read it, it is with a single focus-point rather than a multi-tasking, attention-deficit digital mind. But a phone is always within arms reach, available to conduct research whilst browsing. A few retailers are taking advantage of those behaviours by using mobile to both deepen the catalogue experience, as well as provide a seamless transition point. 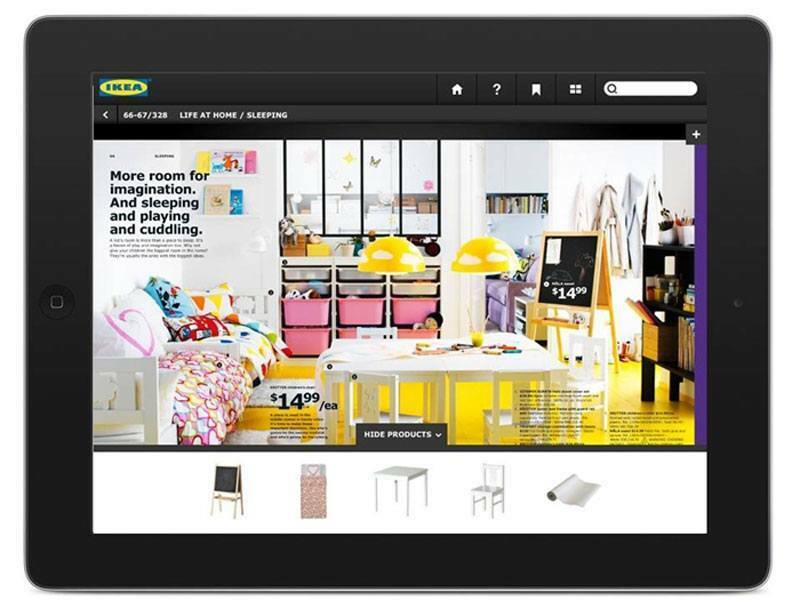 IKEA’s catalogue app allows consumers to scan selected pages of the print catalogue to view additional content including films and 360 degree showrooms. Its biggest value-add is the augmented reality feature, which transforms catalogue items into virtual products the user can place in their own home. IKEA is imagining the catalogue from the user’s perspective, enhancing the experience by leveraging the native functionality of the device – recognising that it is likely sitting nearby. Sportsgirl recently partnered with IE to build an app that uses AR technology to bring the pages of its magazine, The Daily Us, to life. Through the app, the catalogue is brought to life by way of animated product images and video content, all of which links directly to category pages through an in-app browser for purchase. 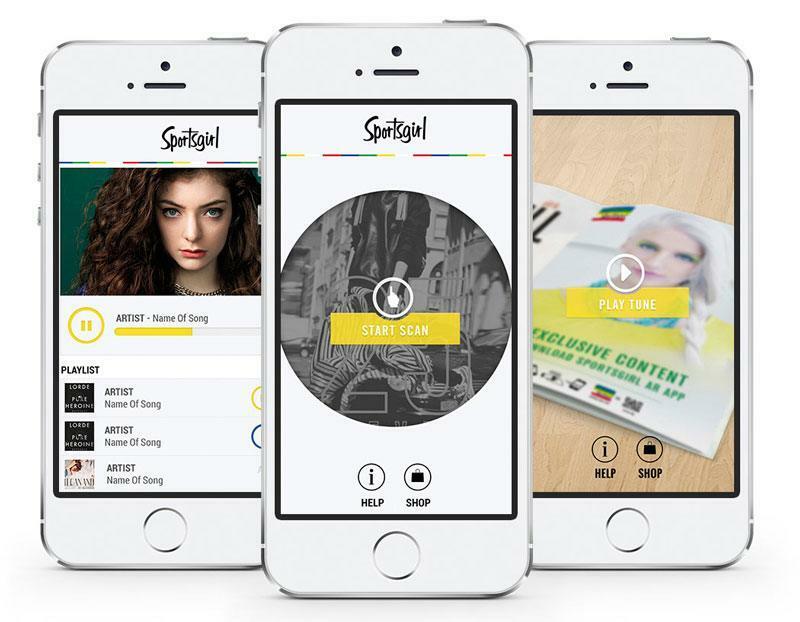 The app also takes advantage of real-time data, enabling Sportsgirl to see which products are getting the most interaction. At the end of the day, adapting the catalogue is still trying to retrofit a traditional, yet successful form of marketing into a digital channel that doesn’t quite work. With rising executions of responsive design, authentic digital design (often labeled “flat” design) and use of social media, why must a catalogue retain any of its traditional page-style form when translated online? A few brands are exploring new forms in cost-effective ways through the use of social platforms. US retailer, J Crew has begun launching its catalogue images through social platforms like Pinterest. Oscar de la Renta premiered its fall campaign on Instagram. Banana Republic has partnered with the popular iPad app Flipboard to curate its own catalogue of products, which users can then add to their own magazines. If the role of the catalogue is to provide context and story around product, how can we reimagine and redesign the catalogue as a digitally authentic experience? I hope to see retailers taking cues from immersive digital experiences like the NY Times’ Snowfall, to create scrollable, responsively-designed stories that engage consumers with the brand whilst enabling seamless transactions. As great user experience becomes an expectation rather than a bonus, the catalogue presents an exciting opportunity for marketers. By rethinking catalogue content and transforming it from its traditional form into flexible, shareable digital content, we can create even more opportunities to tell a cohesive brand story, across multiple platforms and devices. In making these stories more accessible and seamlessly linked to products, we might drive more brand engagement, loyalty and – most importantly – transactions.